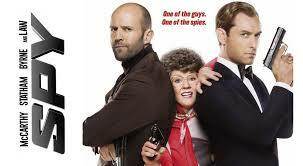 Are you excited about Melissa McCarthy’s new action comedy Spy? But I feel we have to give some credit to Tom Cruise, who has starred in some of the big action films that McCarthy and director Paul Feig are lampooning. You may hate his personal life and his religion, but who cares? His films are epic. Have you seen the trailer for Mission Impossible: Rogue Nation? This entry was posted in Celebrities, Entertainment, Humor, Movies, Religion and tagged action movie, celebrities, entertainment, Humor, Mission Impossible, Mission Impossible Rogue Nation, movie trailer, religion, Tom Cruise, Youtube. Bookmark the permalink.